One of my favorite shows when I was a kid was re-runs of the Addams Family TV show in black and white. One of my favorite characters was of course the fabulous Gomez Addams, played by John Astin. 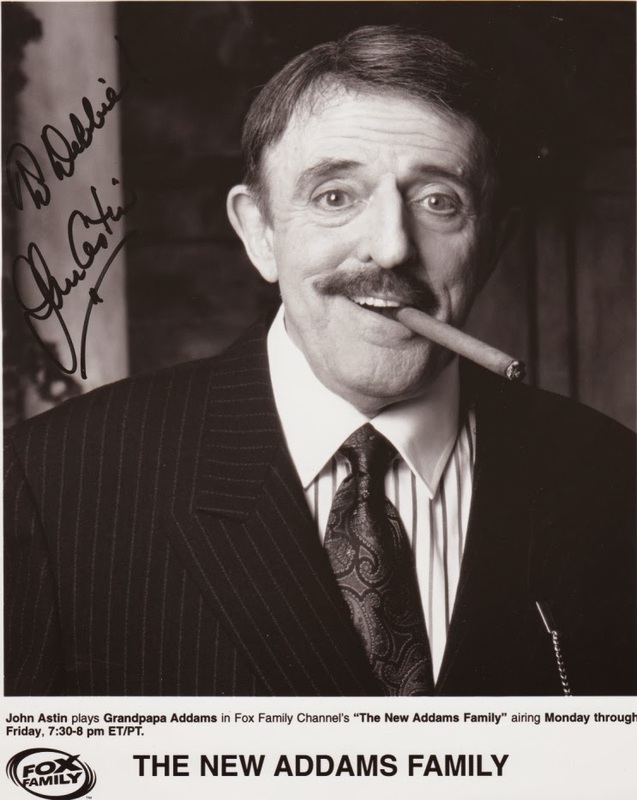 I was lucky enough meet John Astin years ago and walked away with the autograph above. That is so cool that you go his autograph!